This is our absolute favorite show of the year. Held the first weekend of May every year, we look forward to this being our first show of the season. Our farm was selected as "Premier Lincoln Breeder" in 2012. This show is coming up next year, May 6th and 7th, 2017. 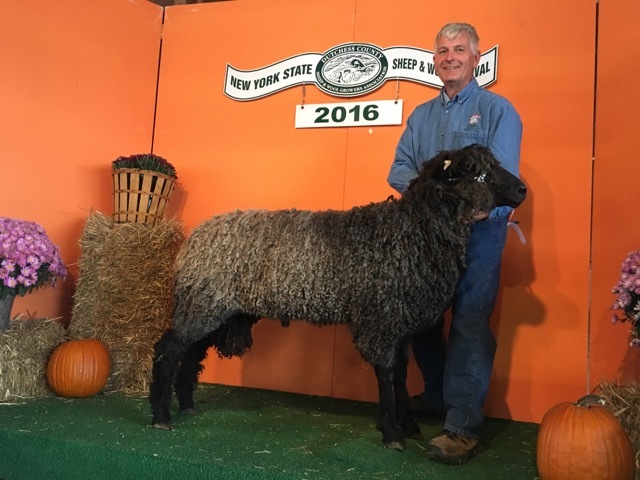 This show, held every October, is sponsored by the Dutchess county Sheep and Wool Growers. It is one of our favorite shows of the year. The show is set up different than most; we don't show against just our breed, but other breeds with the same wool classification- Coarse natural colored. This show is coming up October 21th and 22th, 2017. This show hosts the Northeast Regional Lincoln Longwool show. 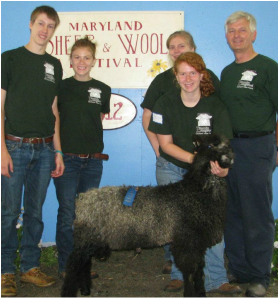 In 2012, we got Reserve Grand Champion and Best Fleece with one of our ewe lambs. We were also awarded Best Fleece in 2013! In 2013, the National Lincoln Show was held at the Big E and was the largest Lincoln show in American history with over 200 sheep shown. We will be at the Big E September 24th- October 1st, 2016. The Lincoln Show is 2:00pm, Sunday Sept. 27th. This is our home county fair, held every year in July. While we don't have a whole lot of competition at this fair, this is where we learned to show through 4-H. Both Emmaline and Jenny have shown Lincolns, Lincoln-Hampshire crosses, and market lambs at this fair through 4-H. Even though we have aged out of 4-H, our farm continues to represent our breed every year at the open show. Photo courtesy of Ruby Foote. Each summer, several ewes make a new home at the Genesee Country Village and Museum, a living history museum located in Mumford, NY near our home. For several years, we have provided the museum farm with sheep to represent a heritage breed. Raising a heritage breed of sheep, they are often not something that people recognize and we do a number of educational and community events throughout the year. In April. we participate in Chick Days at our local feed store, we have taken our sheep to Cornell University for Alpha Zeta's Ag Day, and in October we take our sheep to the Genesee Country Village in Museum in Mumford, NY for the Heritage Fair. Check out our Facebook page and Blog for updates on where you can find us!